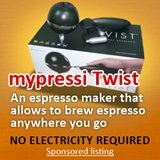 Espresso coffee pot, is moka pot? To coffee lovers, espresso coffee pot can only mean one particular brand. You know your product is well known when its brand name becomes the official name in terms of nomenclature of that product.This is what has happened to the worlds most famous espresso pot; the Moka coffee pot. 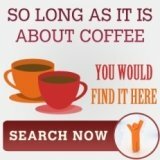 In the world of espresso coffee machine, there is no other product that has achieved the same degree of brand recognition that this espresso coffee pot has. Sure, there are many espresso machine manufacturers that have entered the market subsequent to the launched of the Bialetti Moka pot in 1933. There might even be other Italian coffee maker manufacturers that have become well known such as the house of Delonghi coffee. However, as far as espresso coffee pots are concerned there is no "pot" that is as well known as the Moka pot. There is even an entry under “Moka “ in what has become one of the most well known online encyclopedias – the Wikipedia. 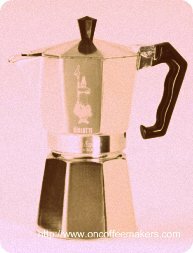 The Wikipedia entry for the Moka coffee pot sketched briefly the history of the Bialetti company and describes the principles according the which this espresso coffee machine works. Given that the Moka pot also has a distinctive octagonal design, this coffee "machine" has become easily recognizable and popular the world over. 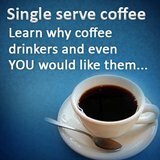 The reason most probably is the ease of operation and the quality of the espresso that the Moka pot produces. 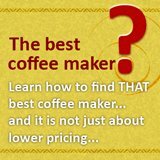 Certainly there are high end commercial coffee machines that are able to rival or even surpass the quality of the espresso that this simple coffee pot can make. The Moka espresso coffee pot has two chambers which are connected by funnel chimney unit. The water is placed into the reservoir half which is at the bottom. This serves as a boiler. The interlinking chimney funnel unit is placed on top and the espresso reservoir is screwed into place on top. Once the water starts to boil, the steam is driven up the chimney through the coffee grounds and the espresso then collects in the espresso chamber on top. Once the brewing process is complete, the espresso can be served from the top of the Moka pot. The Moka pot has a spout and a handle which allows for it to be used as if it were a coffee pot – which it is. Once you are finished, the Moka espresso coffee pot can be disassembled and easily cleaned ready to be used next time. This ease to use, easy maintenance and tasty espresso that this pot produces make it a tough competitor to bring down.